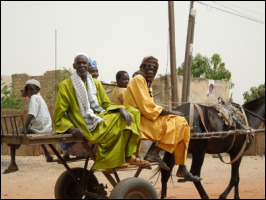 Tanda Mboudaye, Senegal is a small, rural farming community of approximately 900 people with needs in sanitation improvements with approximately half of the community lacking a working latrine. The community has 60 multi-family compounds, each containing latrines in varying states of operability. Fifteen of the latrines have collapsed or are full, unsafe, or unsanitary, and thirty need repairs or improvements. The initial project the team will undertake is improving those that are salvageable and additionally constructing 45 new latrines. Check out photos from our ​2014 assessment trip to Tanda Mboudaye, Senegal.